FREE SHIPPING FOR ORDERS OF R500 AND MORE! 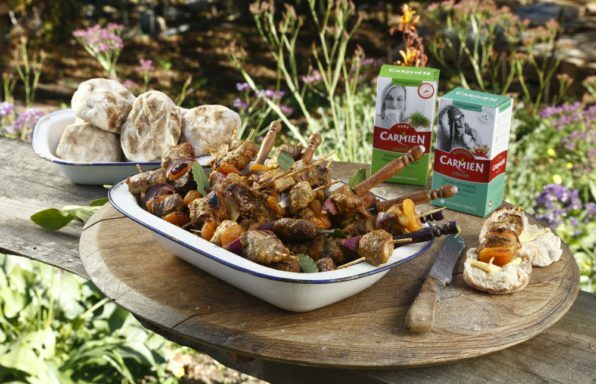 When having an authentic Boerebraai, you will always find some sosaties and roosterkoek. A sosatie can only be called a sosatie if it contains lamb as well as pork, onions and apricots and if marinated in a curry mix. Otherwise it is a kebab. In the last episode of this season’s Jy het ’n Wenresep! (on VIA, DStv channel 147) leftover mielie-pap (maize) is used to make a tasty snack. There is a surprise in every episode of Jy het 'n Wenresep! Denis de Waal from Table View cooked with rhubarb, an ingredient many South Africans shy away from. Carla Steenkampsen from Green Point made pavlova. 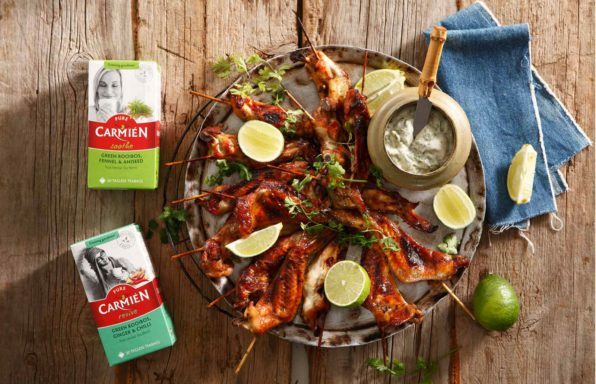 But the winning recipe was from Jana Malherbe, all the way from Riversdal, who prepared the mieliepap bites with tzatziki. Jana is a guide and outdoor enthusiast, and says the little maize snacks have often saved the day when she had to prepare a bite to eat for guests. 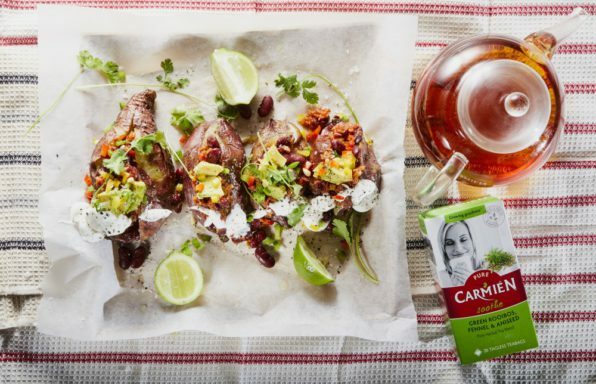 Tip: If you’re cooking the mealie pap (maize) from scratch, use Carmien’s Green Rooibos tea. 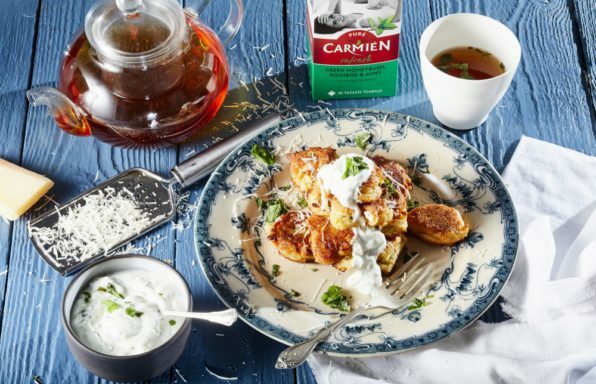 Pairing: The Carmien Refresh Green Honeybush, Rooibos and Peppermint accentuates the flavour of herbs in the maize balls, the mint in the tea also compliments the mint in the tzatziki. 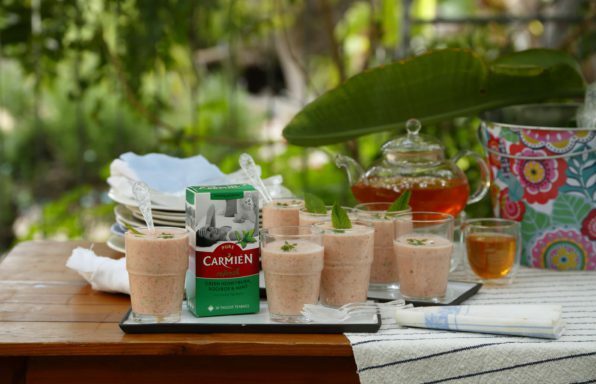 Health Benefits: Carmien Refresh Green Honeybush, Rooibos and Peppermint aids digestion and detoxes. On the VIA television show, Jy het ’n Wenresep! 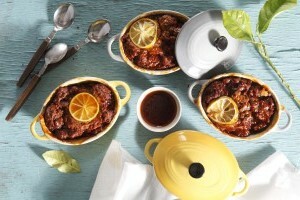 the winning recipe is Boelie, a trusted recipe of old, but still a hit in the kitchen today. In the Wenresep kitchen Carmen has to choose between boelie, Yorkshire pudding and honey cake. To make things more interesting, two old friends Sonyah Holder from Tulbagh and Zetta Schmeisser from Panorama are cooking against each other. Lucy Champion from Plumstead made the honey cake – fresh from the farm. But in the end it’s Sonyah’s boelie, a recipe she ironically got from Zetta, that wins after Sonyah gave it an exotic twist. On 15 Februarys episode of Jy het n Wenresep! on VIA (DStv channel 147) root vegetables are making headlines. Karen Clarke from Malmesbury impressed Huisgenoot’s Carmen Niehaus with her vegetarian variation on Chilli con Carne recipe which immediately grabbed Carmen Niehaus’s attention. Perfectly balanced, this meal is incredibly easy to throw together and definitely deserved the winning vote. While Johan Zietsman from Strand showed how he prepares food on a large scale when they are on a yacht. 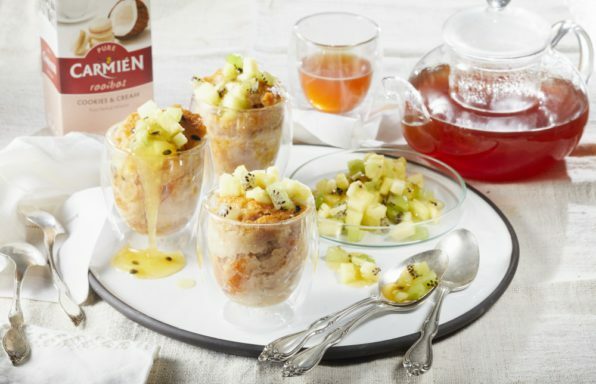 Liezel van der Merwe from Stellenbosch turned her mother’s breakfast recipe into a banting friendly one. 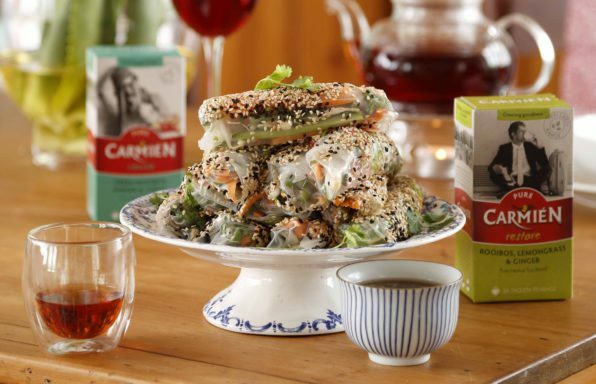 Karen’s vegetarian dish blew Carmen away and won her recipe a spot in Huisgenoot. Now you can try out her recipe too! Karen dished her beans mixture in a potato bake but in the test kitchen we dished it as a sweet potato bake. 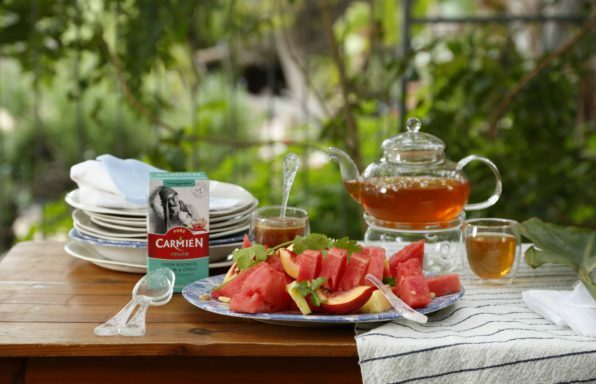 Carmien Tea’s Soothe contains green rooibos, real fennel and anise. The aniseed is delicious with the sweet potato and the fennel compliments the tomato and beans. The tea contains antioxidants, helps with digestion and is antiseptic. It’s a fresh tea which goes hand-in-hand with food. On 1 March’s episode of Jy het ’n Wenresep! On VIA (DStv channel 147) Eastern flavours are the name of the game. 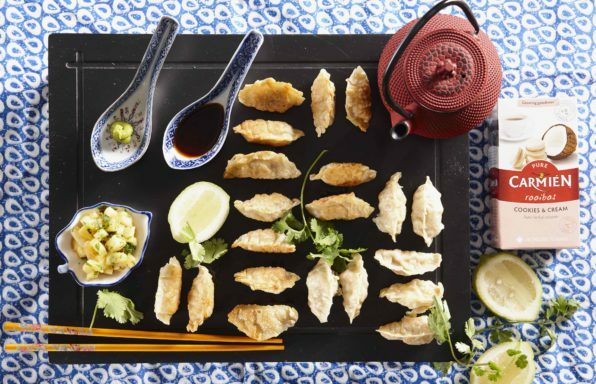 We snack on delicious steamed and fried dim sum. 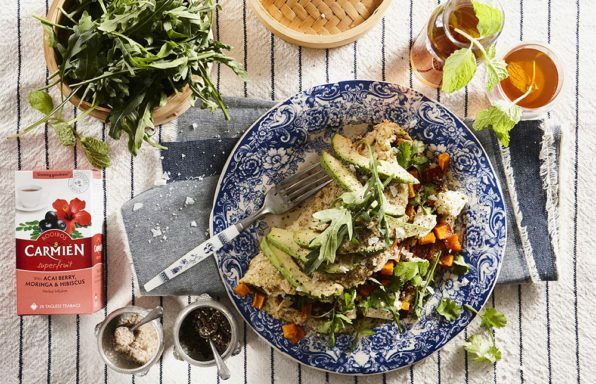 South Africans tend to like the sweet-salty seasoning of Eastern food, and these days the ingredients for these dishes are easy to come by. On this episode of Jy het ’n Wenresep! winner Hendri Jooste from Stellenbosch shows us how easy it is to fold wonton pastry. He also demonstrates how to prepare steamed and fried dim sum. Dennis Randall, also from Stellenbosch, presents a creamy pasta with loads of fresh ingredients and Chantelle Janse van Rensburg from Brackenfell shows off her favourite carrot cake. 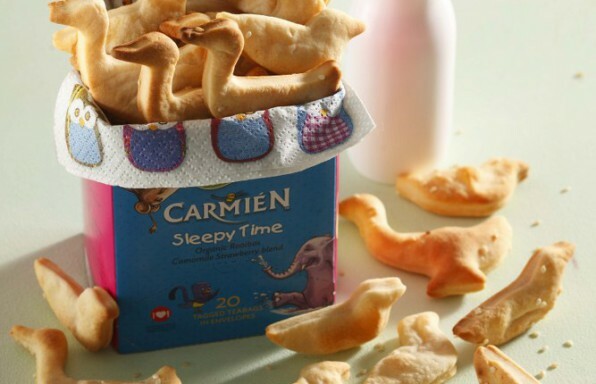 Carmien’s Cookies & Cream has a wonderfully creamy coconut fragrance – it blends well with all the Eastern flavours. On 22 February’s episode of Jy het ’n wenresep! on VIA (DStv channel 147) Madeleine Jacobs from Hermanus impressed Carmen Niehaus with her omelette cooking technique and not only won a star for a quick dish, but came out puffy and big enough for supper. Now you can try her quick and healthy way of making an omelette. A wonderful refreshing bite to start the meal with. 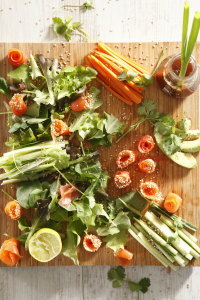 If you are in a hurry, use Iceberg lettuce leaves instead of rice paper. You can even place all the ingredients in separate bowls so each guest can prepare his own roll. Asian flavours work well with water melon and pineapple. 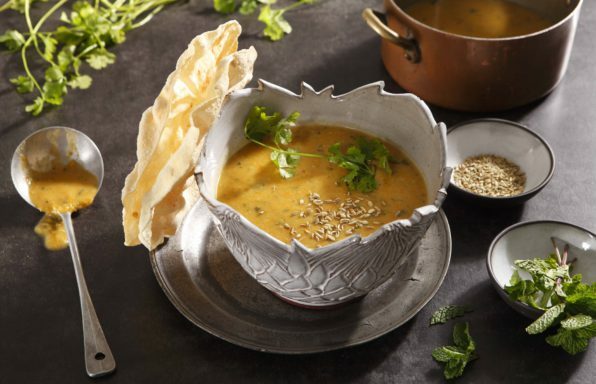 A wonderful refreshing soup ideal to serve on a hot summer’s day. 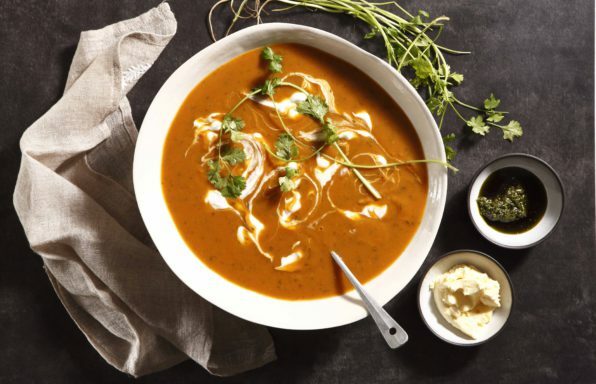 Sweet potato added to this butternut soup gives it a slight sweet taste that works beautifully with the hint of orange and curry. 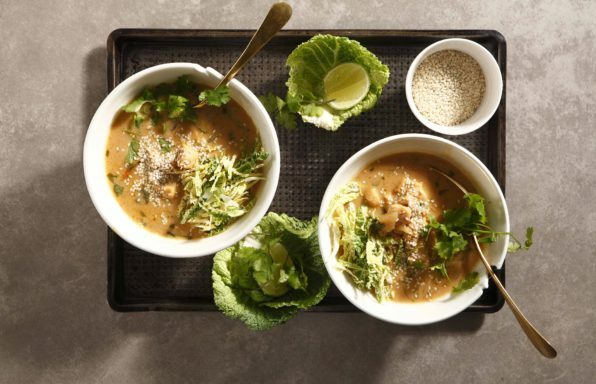 These easy-to-prepare-soups are ready in a jiffy and made with affordable store cupboard ingredients. 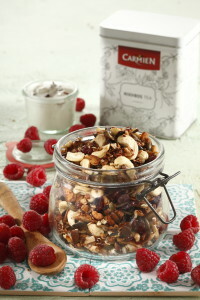 Carmien’s variety of tea blends is ideal to give them flavour in an instant. They can either be a bit chunky or smooth and velvety. This recipes is really yummy and also so easy to prepare.